One look at the results of the Insurance Research Council’s 1999 study – Paying for Auto Injuries: A Consumer Panel Survey of Auto Accident Victims – and it becomes obvious that hiring a personal injury attorney can be extremely beneficial to victims of car accidents. According to the study, settlements for injury victims who had hired an attorney to represent them were 40 percent higher than for those who did not hire an attorney. And while it is true that hiring a lawyer to handle a personal injury claim is often much more financially beneficial to the accident victim, there are also some instances where an attorney may not be necessary or will actually not benefit the accident victim financially. If you are injured in a car accident and immediately require medical treatment, you may find yourself with mounting medical bills related to treatment and the duration of your hospital visit. In the end, these bills can total hundreds of thousands of dollars and leave the accident victim wondering how on earth he or she is going to be able to pay for them. The higher the economic damages are in a personal injury case, the higher the chances that the insurance company is going to push back on the victim’s claim. Insurance companies are in the business for making profits and paying high-level employees millions of dollars per year, and they are able to do this because they do everything they can to avoid paying out claims. Typically, attorneys have a better chance of maximizing a victim’s potential financial recovery when the damages are high and there is a higher level of medical treatment involved. For example, a person with more than $50,000 in medical bills is also likely going to have missed significant time from work, in addition to continuous pain and discomfort that they may have suffered. The higher the economic loss suffered by the victim, the more leverage a personal injury attorney may have when negotiating a settlement with the insurance companies. Conversely, there are also many instances where an accident victim may not benefit financially from hiring an attorney. When an accident is relatively minor and the economic damages are less drastic, the accident victim has a greater chance of receiving a fair settlement offer from the insurance adjuster or claims representative. That is not to say that the insurance companies will not attempt everything in their power to save as much money as possible during the negotiation process. This makes it very important that accident victims have a solid understanding of the circumstances of their claim and the economic damages that they have suffered. For example, if an accident victim has suffered a total of $10,000 in economic damages and hires a personal injury attorney – most of whom charge a contingency fee of approximately one-third the final settlement or verdict – then there is a chance that the attorney would take a sizable percentage of the settlement, leaving the victim with less than the economic loss that they suffered. 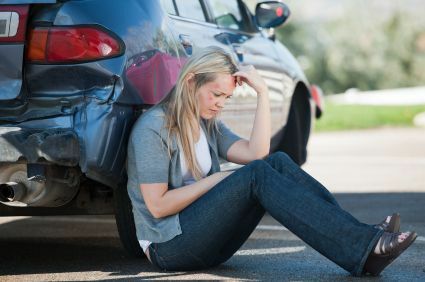 In these cases, the Davis Law Group typically advises accident victims that they may be better off handling their case alone without a lawyer.